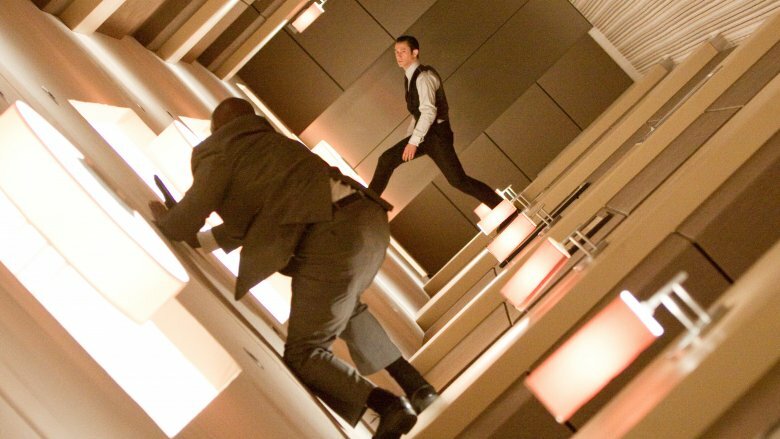 Christopher Nolan's movies often require a repeat screening or two to fully process all the plot layers and subtle details, and Inception is no different. The 2010 film, which thrusts its leads into a chemically-induced dream state where they attempt to implant ideas into people's minds, offers high-concept fiction at a fever pitch — and takes some time to fully comprehend. In fact, the culmination of its many plot lines was so complex and ambiguous that the director's true meaning has become a point of cinematic controversy. 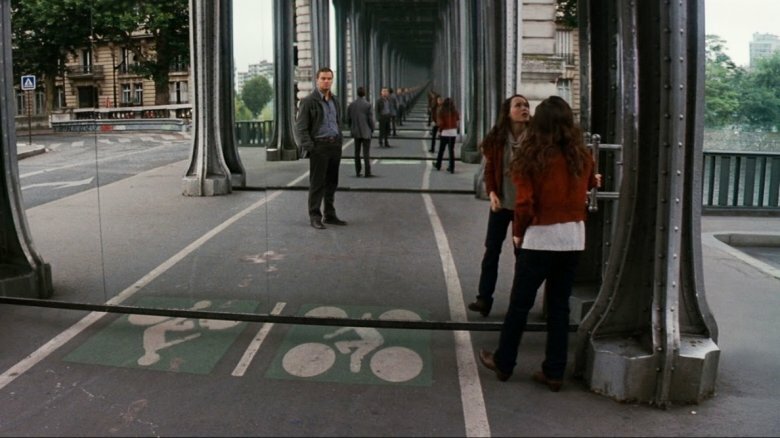 From its ending to its themes and its overall cultural impact, there's a lot to unpack about Inception. Inception is so dense with various dream layers, kicks, and memories at play that some film fans even drew up diagrams to connect all the plot dots. 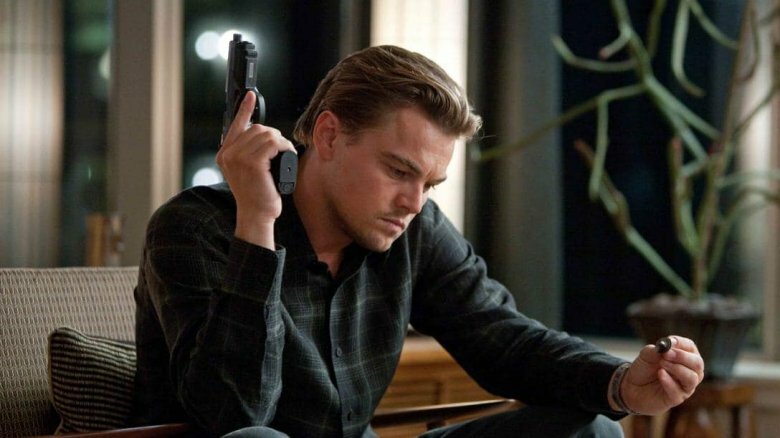 In the end, though, it's really all about Leonardo DiCaprio's Cobb working to get back to his children after his wife Mal committed suicide and set it up to look like homicide (according to his memory, at least). To do so, he's hired by a global energy executive to help convince the heir of a dying competitor that he should break up his father's monopoly by implanting the idea in his head — thus, Inception. Cobb's skills at manipulating dreams like this were developed during the course of his relationship with Mal, who became so absorbed with the dream world that she could no longer tell the difference between present reality and a state of slumber. The couple had spent decades together in limbo, the deepest dream layer, and eventually even having a "totem" to tell the difference between planes of existence couldn't convince her. In her mind, the waking world was just another layer she needed to kick herself out of, so when she leaped from a high rise hotel, she didn't think she'd actually kill herself. So, while Cobb didn't push Mal to her death, as the police may have suspected, he did create the device that eventually destroyed her. As a result of his partial responsibility for his wife's death, Cobb is so eaten up with grief that he keeps his sharpest memories of Mal in caged rooms that only he can visit — at least, until his new protege Ariadne decides to hop in his mental elevator and take a look at them for herself. Eventually, MindMal becomes his biggest obstacle in completing his inception mission for Mr. Saito because she creeps into the third layer of the group mission and sends their target, Robert Fischer, into Limbo. Cobb finally confronts MindMal, with the support of Ariadne, and realizes that his tucked away projections of her aren't the real Mal ,and that he needs to let her go (and let Ariadne "kill" her). After that, when Cobb returns to the living realm after successfully completing his mission, he decides not to rely on the totem that had been so troublesome for Mal and embraces the reality he's in with his children. In doing so, he also lets go of his guilt and grief. That theme of getting through a difficult loss like this plays out on a parallel plane with Robert Fischer, as he's basically guided through the five stages of grief (denial at the tilting bar, anger with his subconscious attackers, etc.) amid the looming death of his dad. So, just like the dreams themselves, the character arcs are very intertwined. Adding another potential layer to this theme is the fact that Nolan lost his own father in 2009, right around the making of this movie, so there might have been added catharsis in delving into the dreamworld for him, too. 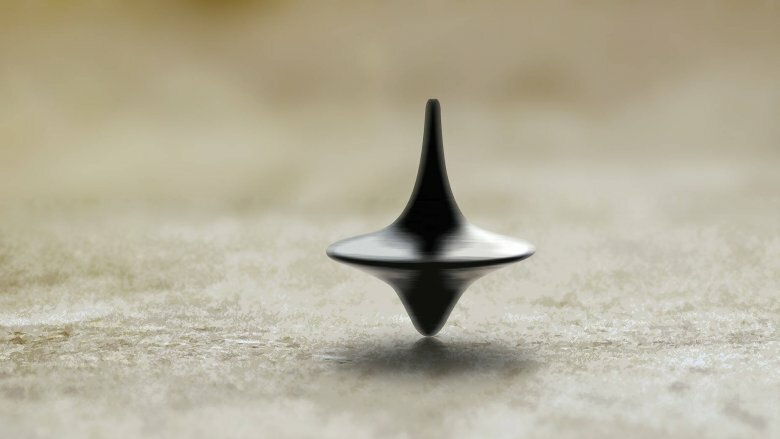 The biggest question viewers have after seeing Inception is this: will the spinning top at the end ever fall down to indicate Cobb had reached true reality? As Cobb explains, the top would only spin in perpetuity if he's still stuck in a dream world, but it'd eventually drop if he were back in reality. The fact that he spins it upon finally returning to his children, but decides against waiting to find out whether it'll fall, means viewers are left wondering — and scouring the rest of the film for clues. Does Cobb wear a wedding ring in all realms? Does that sound like some wobbling as the movie fades to black? For Nolan, there was a distinct reason he decided to end it there instead of offering a definitive answer. As he'd later explain, the point of this final moment was to show that Cobb has accepted that wherever he'd ended up is real enough. Philosophers say Inception is basically Plato's "Allegory of the Cave" for the 21st century — but that isn't the only ancient idea at play. In Greek mythology, Ariadne is a young goddess on the island of Crete put in charge of overseeing a labyrinth that sees the sacrifice of several Athenians each year. But, upon finding affection for one of its would-be victims, Theseus, she helps him escape by giving him a sword and a red string to defeat the Minotaur and find his way out of the maze. Not only does Inception's Ariadne almost always wear red, but she also slowly but surely shows Cobb the way to overcome his own demon: the long-lingering image of his dead wife. Some fans theorize Ariadne may have originally been hired by Stephen Miles, who was Mal's father, to discover whether Cobb had actually killed Mal or was as innocent as he claimed. That would explain why Ariadne is so acutely interested in delving into Cobb and Mal's history. After seeing the toll it takes on him, however, she may have developed a fondness or sympathy for him and decides to help him "escape" in the end, much like her mythological namesake. Cobb & Co. has to sift through a lot of layers to get to the bottom of Fischer's allegiance to his father's company. After getting him to establish a number combo for another layer's safe, to seek counsel of his kind godfather (who is actually just Eames in disguise), and even visit his dad on his deathbed, it becomes clear that all he ever really wanted was the affection and respect of his old man. That's why, when his dad tells him to open the safe that'd been planted by Cobb's team in his dreamworld hospital room, all it contains was a pinwheel that reminds Fischer of one of the few happy memories from his childhood. For Fischer, the pinwheel signifies that his dad treasured him more than he ever let on, which gives value to his suggestion that Fischer go off and become his own man — and thus dissolve the company that's causing Mr. Saito so much trouble. Beyond exploring the wondrous possibilities of the mind and the ways in which an emotion like anguish can infect (or incept) a person's psyche, Inception's ending also seems to make a pretty significant statement on the woes of wealth. Robert Fischer is guided into the idea that splitting up his father's energy company would finally bring him the peace he'd been seeking all his life. Meanwhile, Mr. Saito spends decades in limbo before realizing that his youth and truth are more valuable than the vacuous fortune he'd been so hellbent on securing. Saito isn't a terrible guy, exactly, but he is willing to go to some troubling lengths for the sake of profit. His effort backfires spectacularly when he decides to join in on the dream-hopping game, however. When he dies in the third dream layer, he's sent to Limbo, where he ages to the point of near-senility before being courted back to reality by Cobb. When he finally wakes on the plane, he's not thrilled about his financial victory, but instead he's rather stoic about what he'd just been through. In other words, he's probably experienced a change of heart in the process of all this himself. Nolan might not be a man without means, but he certainly seems to believe there's more to life than money. The Dark Knight Rises, Nolan's next film, later expands upon this thread of commentary on economic inequality. 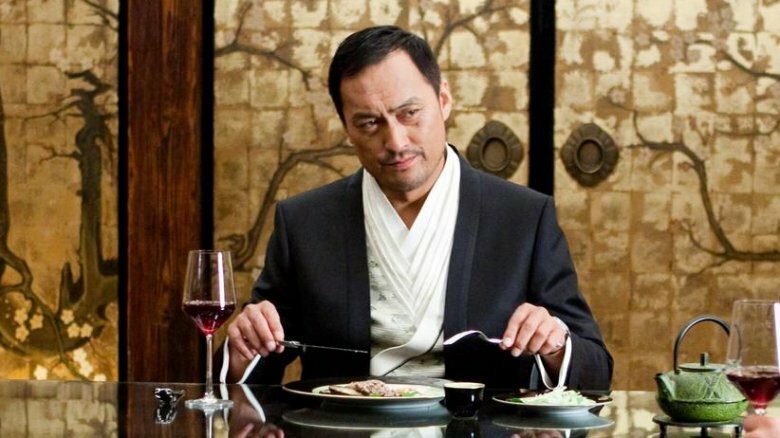 So, Inception may have influenced that film's condemnation of greed. But that's not the only impact the film had on Nolan's Batman series. 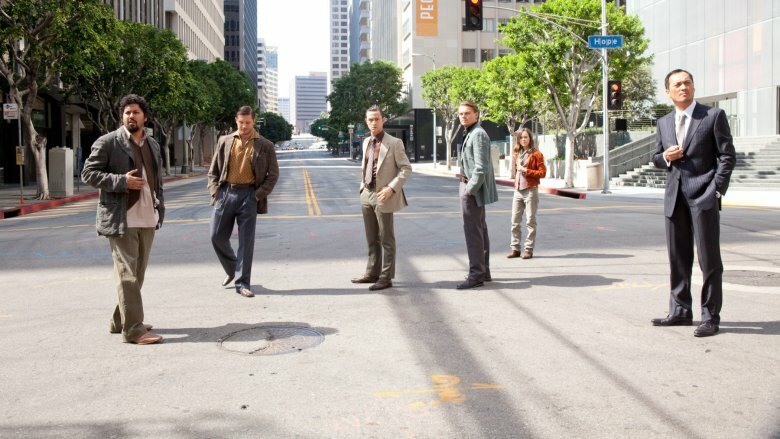 The timing of Inception's production took place right smack dab in between of The Dark Knight and The Dark Knight Rises, which meant that casting the new characters for Nolan's final Batman installment was a cinch. But what's even more interesting about the carryover is that their characters' arcs in the subsequent film may have been somewhat inspired by what became of their Inception counterparts. No…seriously. Joseph Gordon-Levitt's character Blake spends most of his time actively protecting the most helpless people around him — children — while the hero battles it out with the big bad elsewhere. The same is true of Arthur, who lingers in the hotel layer of the dreamscape to watch over the bodies of all his slumbering pals as they go deeper and do most of the dirty work. Meanwhile, Tom Hardy's character Bane is certainly more villainous in The Dark Knight Rises, which totally honors Eames' statement that people should "dream a little bigger, darling." But there are some more common threads between them as well. Both wear masks, of sorts, and each cooked up some excessively violent and large-scale attack schemes that serve as the films' most action-packed set pieces. Last but not least, Marion Cotillard's Miranda (aka Talia al Ghul) and Mal are each so devoted to their convictions that they don't hesitate to sacrifice themselves for what they believe in. 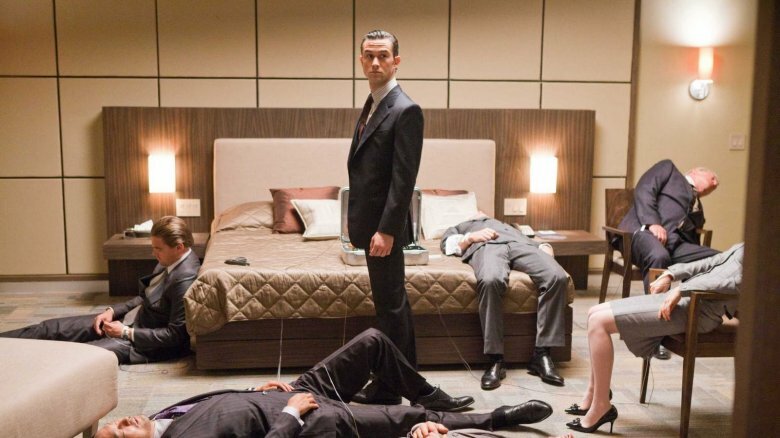 Think Inception's real-world impact stopped at Batman? Think again. 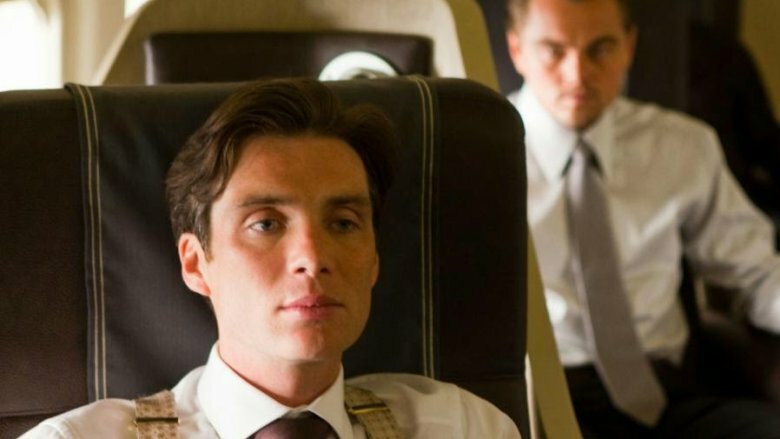 The end of Inception didn't just affect Nolan's movies. Sure, the critical fawning over his fever dream project along with its box office receipts ($825 million worldwide earned on a $160 million budget) meant that he could write his own ticket for anything he ever wanted to do again. But it also seemed to spark a trend of high-concept action fare that capitalized on a renewed interest in cerebral cinematic experiences. Shortly after the film's release came a slew of similarly challenging sci-fi action movies in quick succession, including Source Code, The Adjustment Bureau, Limitless, Looper, In Time, Edge of Tomorrow, and Lucy. Most of these films similarly tinkered with the parameters of human power — most often with the mind — and required audiences to pay more attention than with ordinary popcorn flicks. And let's not forget how Marvel's Doctor Strange unapologetically lifted Inception's entire city-bending sequence. Not only were these risky pics given the green light — possibly in response to Inception's undeniable success — but they all did fairly well at the box office and mostly won over critics themselves. 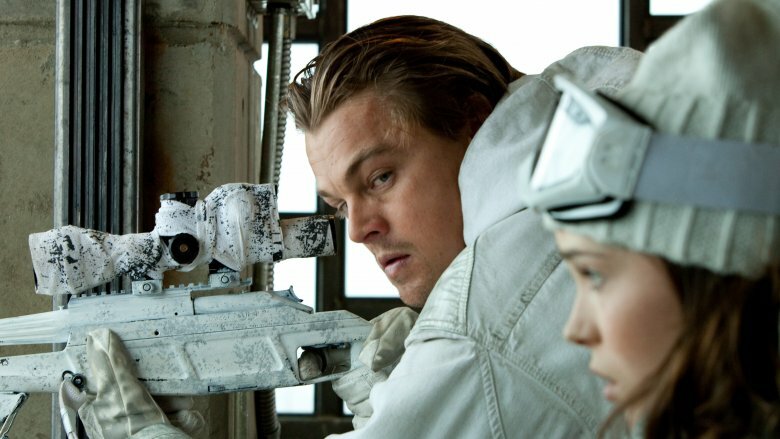 Nolan might not have intended to spark a trend with his dreamy movie, but brainier blockbusters did seem to start hitting with audiences after Inception. Nolan may have inadvertently incepted the industry at large with the idea that smart action movies can work, too. The sound was created by Hans Zimmer to give potency to several action sequences, especially at the end of Inception. But the composer came to regret his decision to produce that deep and resonant sound — made up of pairing his piano with some brass players — as it's since been imitated countless times in subsequent movies. Zimmer told Vulture, "Oh, it's horrible! This is a perfect example of where it all goes wrong. That music became the blueprint for all action movies, really. And if you get too many imitations, even I get confused!" There have been back-and-forths waged over who truly originated the soundbite, but it has inarguably become a staple of the action genre in the years since. Among the movies that have used similar tones: Transformers: Dark of the Moon, The Avengers, Prometheus, John Carter, and Jurassic World, to name a few. And the trend doesn't seem to be slowing either, as it's somehow been wedged into marketing teams' minds that this is a go-to note for effecting intensity. BRAMMM. Ever since Inception's bow, some fans have been clamoring for a sequel, and Nolan didn't exactly reject the call for more. In fact, he pondered the idea of turning his layered dreamscape into playable experience by way of a video game that would allow him, and fans, to explore his ideological framework untethered to the Cobb/Saito/Fischer storyline. 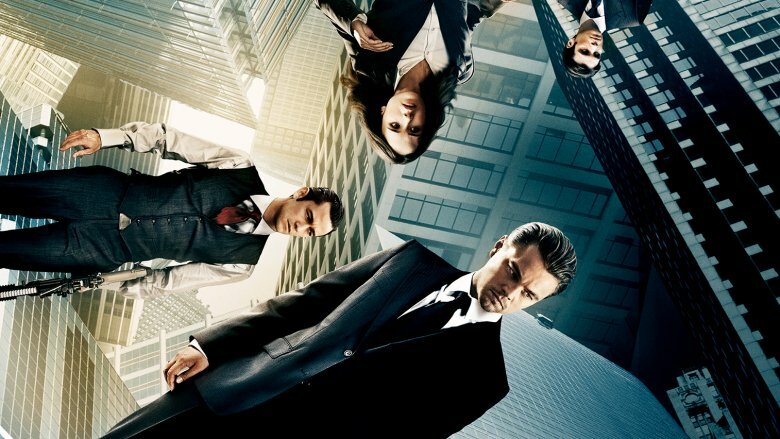 While Nolan has proven that he can do sequels after stepping away for a spell, the fact that it's been the better part of a decade since he announced his interest in it means that Inception: The Game might have just been a dream all along. 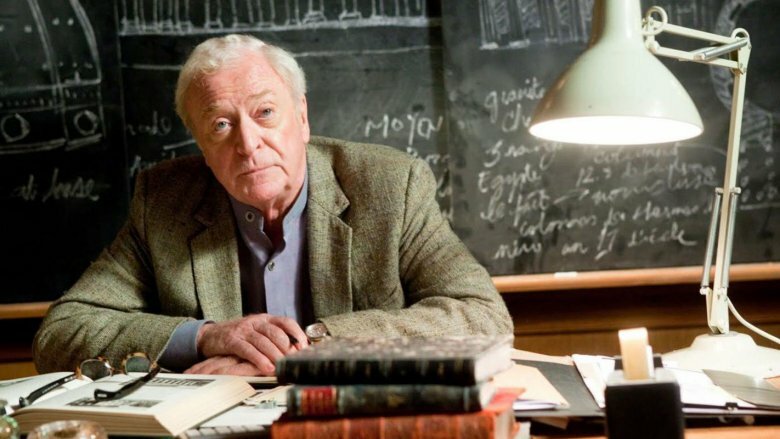 For most actors, the idea of spilling one of Christopher Nolan's secrets would probably be an unfathomable faux pas, but Michael Caine — who's long been considered the director's "good luck charm" and was strong enough to survive Jaws: The Revenge — isn't most actors. This may have something to do with why, in August 2018, Caine saw fit to offer what might very well be the definitive take on what exactly goes down at the end of Inception — and it's a heck of a lot simpler than you might think. Speaking with Esquire, Caine recalled being just as confused as everyone else when he read the Inception script. Unlike the rest of us, he had a hotline to the guy who wrote it, so he went to Nolan in an effort to figure out what was going on in the story. "I said to him, 'I don't understand where the dream is,'" Caine admitted. "I said, 'When is it the dream and when is it reality?'" Nolan's answer was simple, but still powerful enough to blow fans' minds years later. "He said, 'Well, when you're in the scene it's reality,'" Caine revealed. "So, get that — if I'm in it, it's reality. If I'm not in it, it's a dream." In other words, after all those carefully wrought theories built around spinning tops and wedding rings, the key to unlocking Inception's ending might not have had anything to do with a totem after all — instead, it was all about a living character in the scene, offering the answer all along. Pretty sneaky, Chris.